John farmed at St.Wenn, a small rural village in mid Cornwall. John was brought up on his family farm and has farmed all his life. He is a member of an Old Cornwall Society, which performs a traditional celebration called ‘Crying the Neck.’ The film that you will see was shot on cine film in 1960. Cine film was used before digital video cameras and images were recorded onto a long length of film with no sound. Have a discussion about celebrations. What do we celebrate throughout the year? (Christmas, birthdays, harvest etc). Get pupils to think about the different elements that go into a celebration and note these down. If necessary help pupils pick out these elements by giving clues. Gathering together- friends, family, communities coming together. Keepsakes/memorabilia- e.g. a card kept on the shelf. Prompt children to see which of these elements they can spot when watching John’s Story. Alternatively watch digital story on YouTube here. How do we know this was a celebration? What elements of a celebration did you see or hear about? What are they celebrating in the film? What time of year do you think it is in the film? Which season is it now? Why are different times of the year important for farmers? What would life be like without any celebrations? Is it important for farmers that there are different seasons? How do the activities you carry out on the farm change throughout the year? Do you have a favourite season? Why do you like this season? Do you have any traditional celebrations that you carry out on your land, for example ‘Crying the Neck’? If so, can you tell us about this ritual? This activity can be done with any number of children, from 1 class, to all the juniors, or the whole School. Explain that over the course of a day the children will be split into groups to work on different activities, which will be brought together in a final celebratory performance/procession at the end of the day. Consider the time of year and what season it is, so that you know what you are celebrating. You may also choose to ask each child to make a wish that relates to the season that they are celebrating. They can focus on a wish for the land, earth, climate, farmers etc. 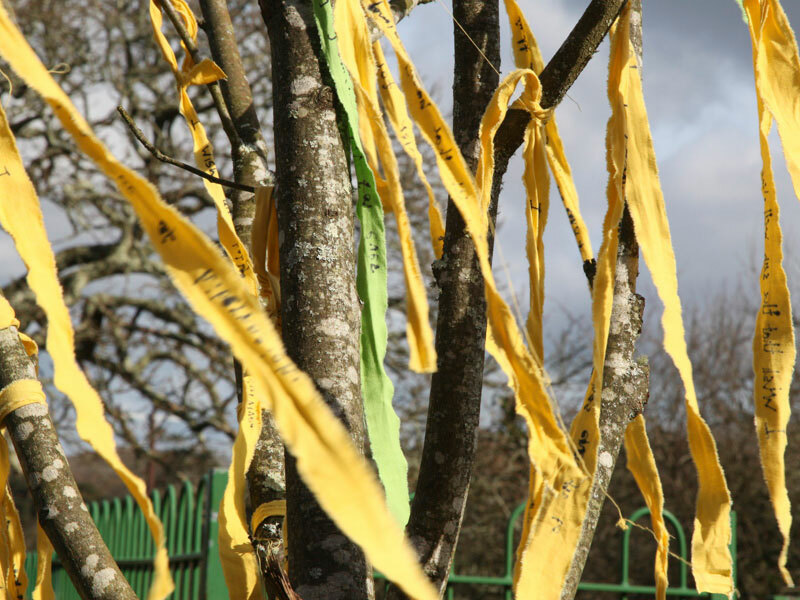 Wishes can be written on long strips of fabric and then be hung at a chosen place as part of the final performance/procession, for example of a tree or fence. Start by getting the children to devise a chant for the procession…. Why do we need seasons? Which season are we celebrating today? What words describe the season? Why do we want to welcome this season back? How does it make us feel? What would be nice to say together as a group? Why? What was said during the ‘Crying the Neck’ ritual. When was it was said and why? (“I hav’en, I hav’en, I hav’en, what ‘av ee, what av ee? A NECK, A NECK, A NECK!”) The chant could follow this structure but be related to the season you are celebrating. Do the children know any Cornish or local dialect which could form part of the chant? Do they want to shake anything whilst calling out a phrase (think of the neck of corn in Crying the Neck)? An instrument (e.g. drum or tambourine) may be useful to get everyone’s attention during the celebration and announce the beginning of the chant. Will one person lead the chanting (a confident child or adult)? Where would they like to process and why is it important to them, the school and the season they are celebrating? What pattern will the procession make? E.g. It could circle around the school, weave in a figure of 8 or other shape, or go through every classroom to link all the school together? Encourage them to consider practicality as well as ceremonial significance, such as how many people will be processing? Will they be carrying large banners?! They could include stopping points where something significant could happen during the procession. A word could be called out, or everyone encouraged to look at a particular sign of the season (Eg. Bulbs pushing through the earth). Where will it end? Try to finish somewhere that links with the season you are celebrating, eg. A particular tree, wildlife area, allotment, wildlife pond… How will everyone gather at the end? It may be good to finish in a big circle to share something (food, stories, a song, wishes, scattering wildflower seeds or seed for the birds etc). After this group has devised a chant and decided on the route, they may like to join one of the making groups. If you are able to edit the final film, start by getting this group to look for signs of the season that you are celebrating. For example if it’s Spring children might look for budding plants and birdlife. 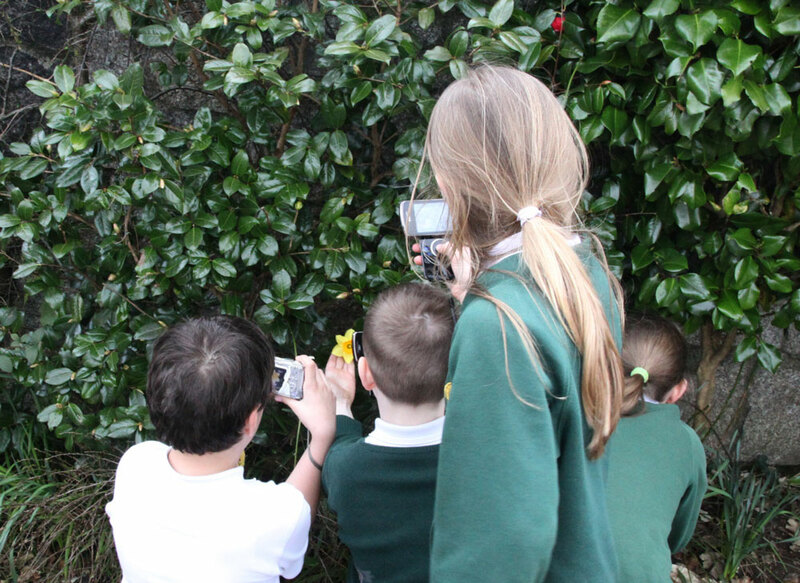 Here is an extract from a group who were looking for signs of Spring. Get the group to consider how best to film the final performance/procession. Consider angles, perspective, scale etc. Decide what size/shape/quantity of banners or flags you would like for the celebration. Get children to think about what symbols, text, colours and imagery they want on the banners/flags, keeping in mind the season that you are celebrating. Techniques that you might like to use could include printing with print blocks, paint with overlaid oil pastels, and/or large scale collage. Mount each banner/flag onto willow, cut sticks and bamboo structures to help carry them during the performance. A hot glue gun and gun stapler come in very handy for this. Using a range of recycled containers and tubes, get children to create ‘pods’ in which to put seeds to make an instrument. Other materials that we found useful for this were masking tape, coloured acetate and elastic bands. To decorate the instruments we used permanent markers, collage materials, tissue paper and long strips of material. You may want to use bird or wildflower seeds which can be scattered at the end of the procession. Finally bring all the groups components together in a unique celebration!